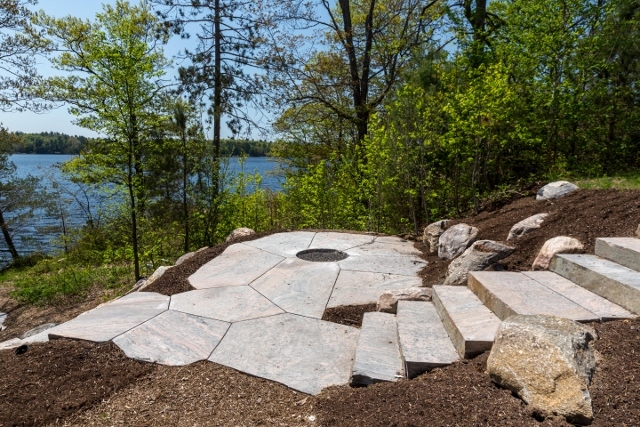 Newly created and designed by AJL Janssen Landscaping – granite steps, terrace and walkway leads to a glorious 216′ of south-facing shoreline on coveted Gaunt Bay, Moon River. 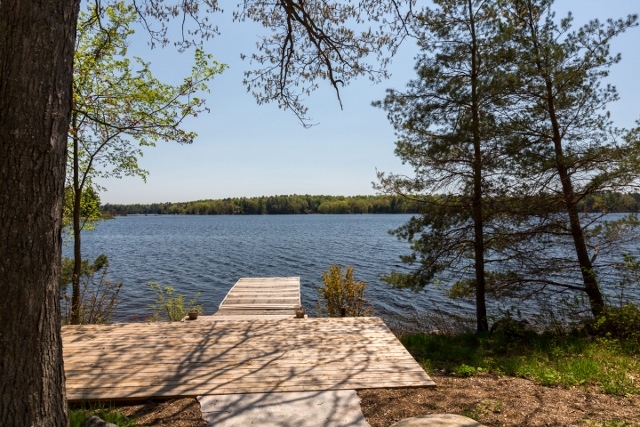 Expansive 180′ view ensures all day sun whether it be on the dock, shore deck or on the granite patio. 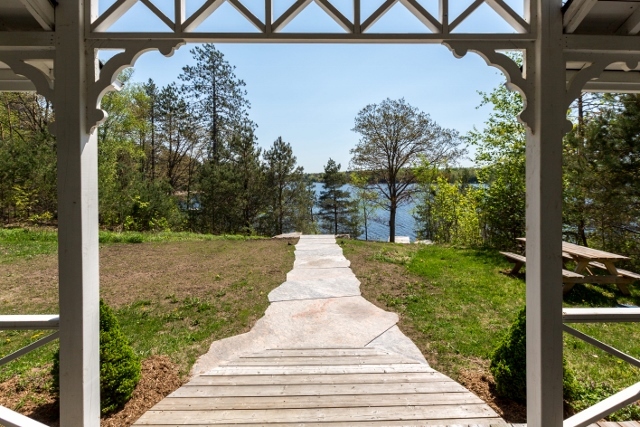 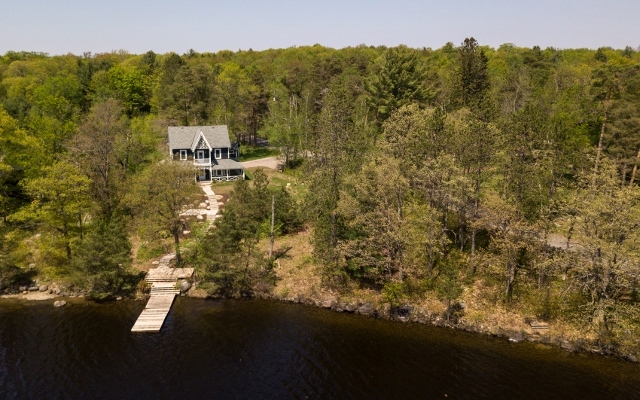 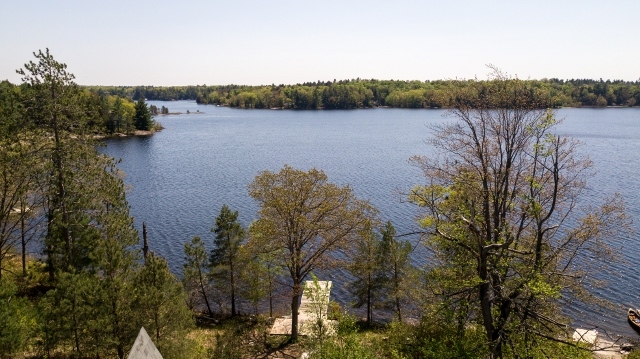 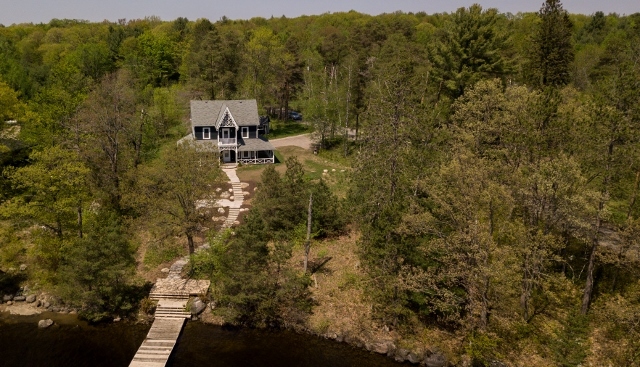 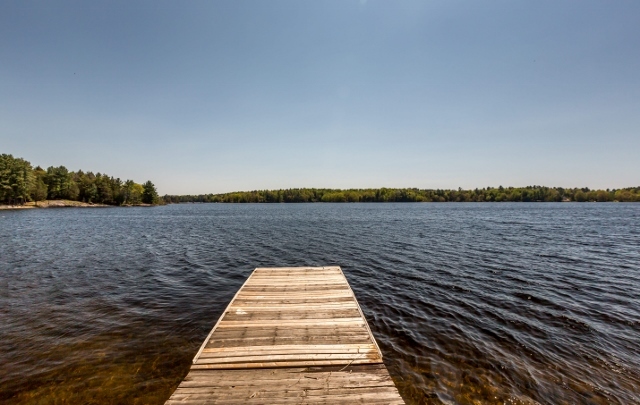 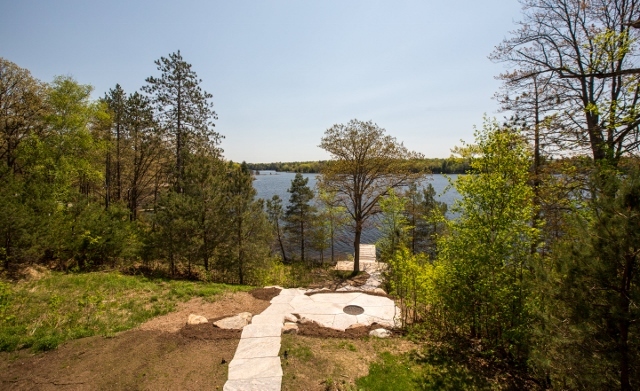 The table land surrounding the gracious and meticulously restored Olde Muskoka provides room to play, sun or simply take in the mesmerizing views. 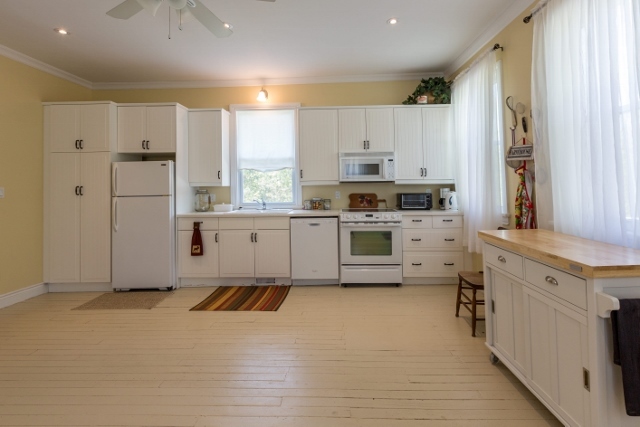 Inside the “Grande Lady” you’ll find a spacious and bright “summer” kitchen, large enough to cook for the whole family. 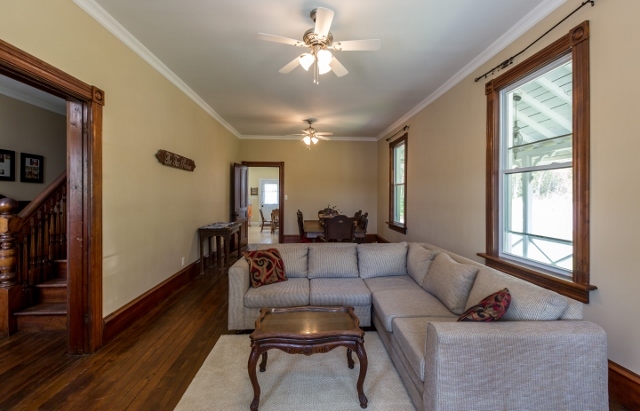 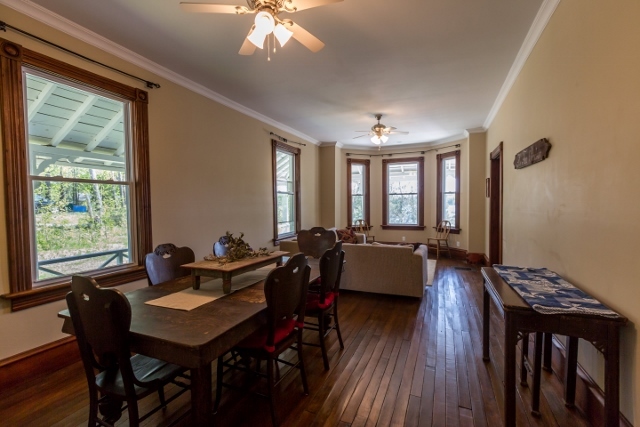 The living room has many areas for congregating with large windows to bring the outdoors in. 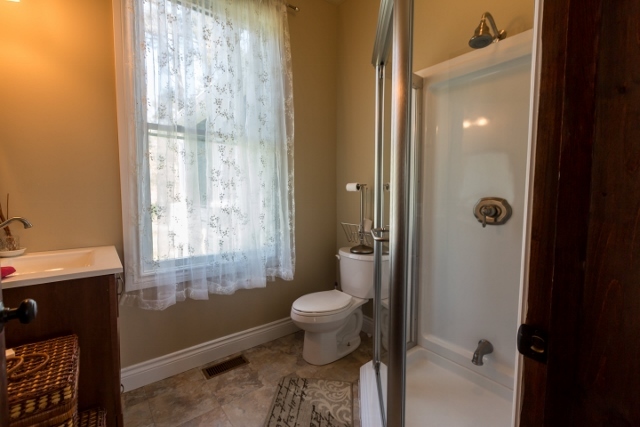 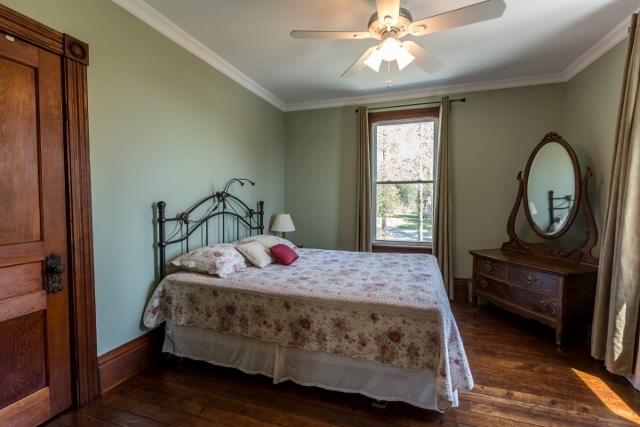 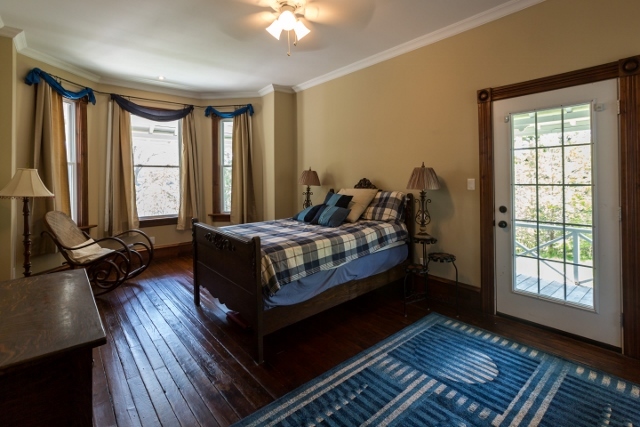 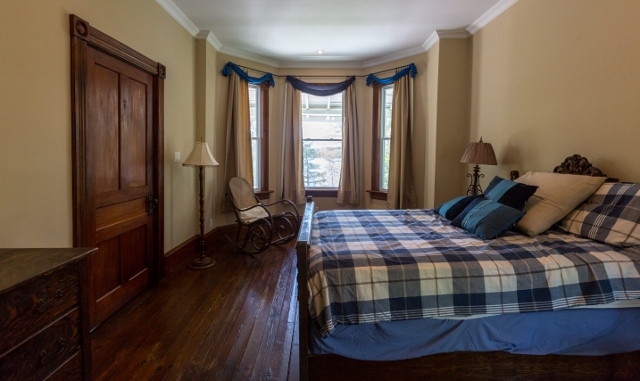 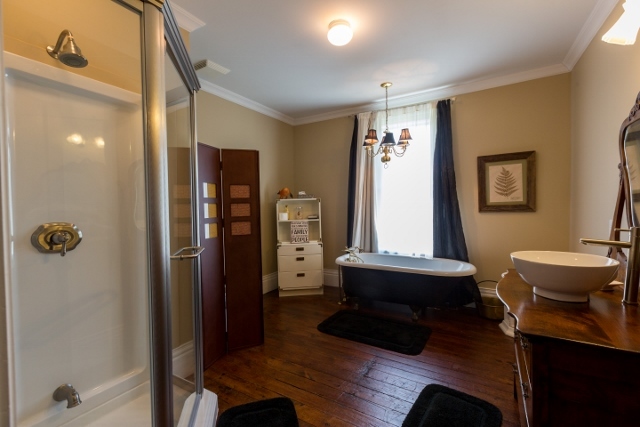 A main floor master bedroom has access to the covered porch and a 3 piece bath. 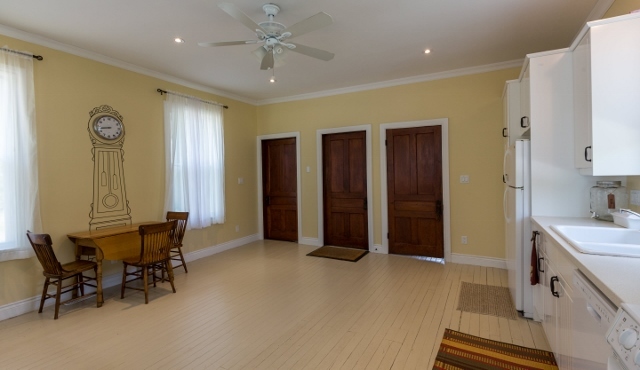 This room could remain as a master or converted into a media room for family fun. 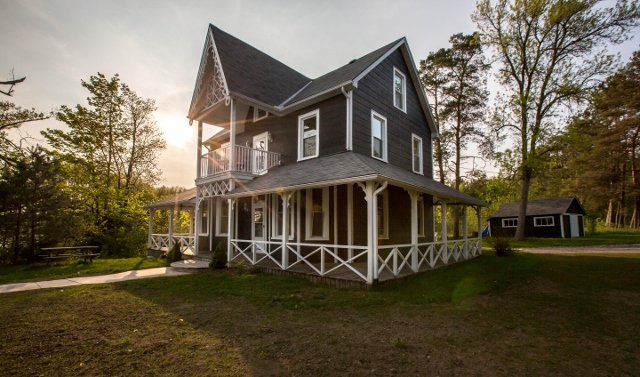 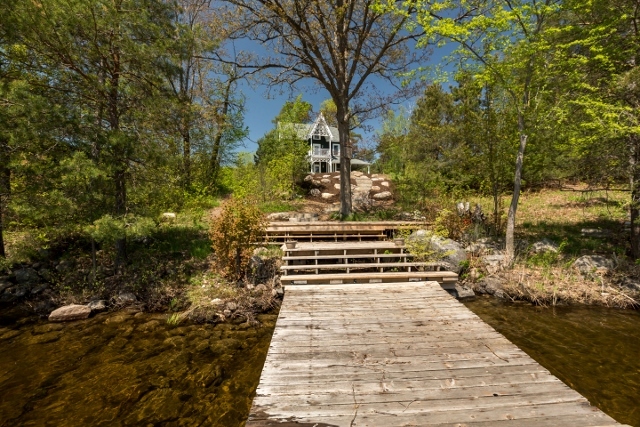 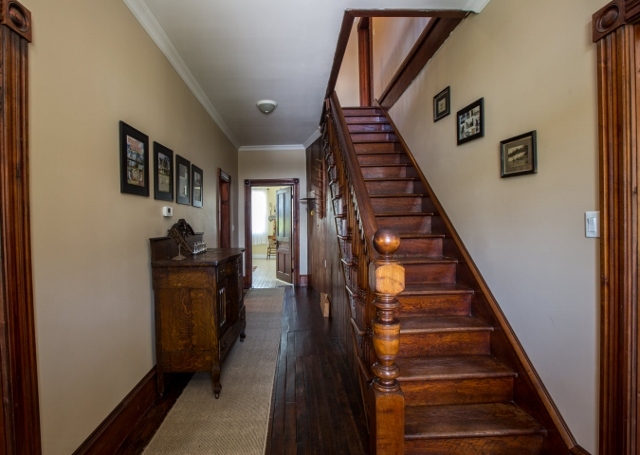 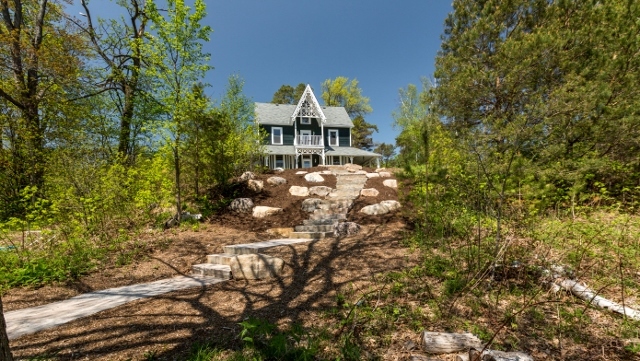 Up the original staircase are 3 bedrooms, a 4 pce bath and a privacy deck for morning coffee. 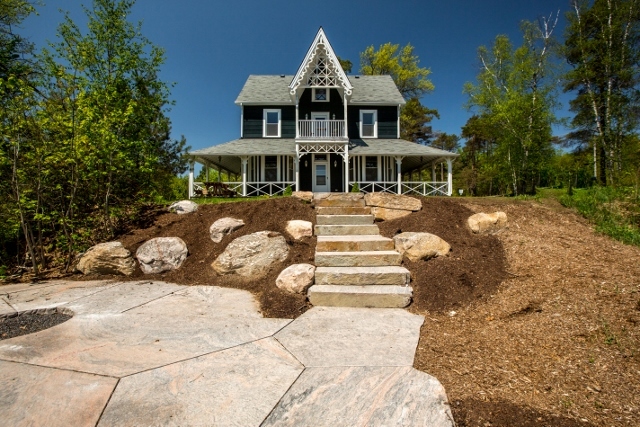 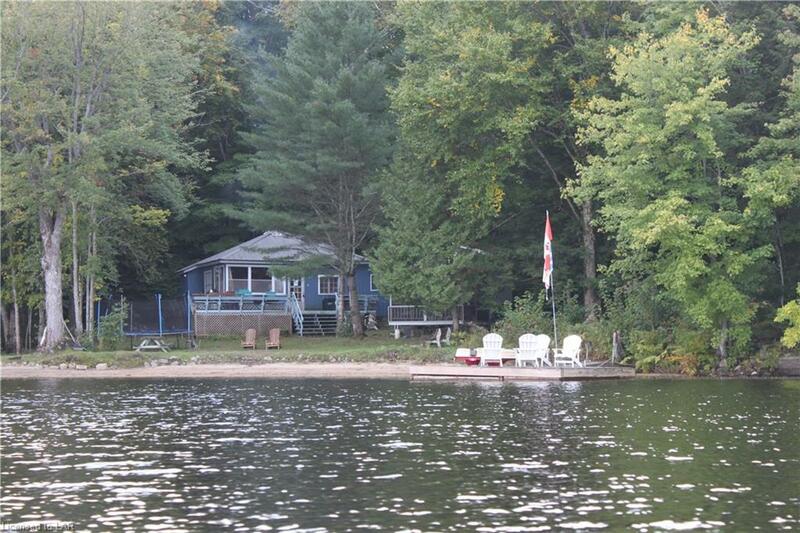 This cottage, grounds & shoreline are a MUST see.